if the dice says so. No save against it. Public Service Announcement. The following review cointains the OSR acronym multiple times, but with different meanings. For the sake of clarity, OSR refers to Old-School Revival (or Renaissance), while OSR1 and OSR2 refers to the corresponding Obscene Serpent Religion product. OSR2 is one of the new Lamentations of the Flame Princess products debuting on this year's Gen Con. Since I didn't even know there was an OSR1, I did some research to figure out what's going on. OSR1 is a LotFP supplement about generating serpent cults, written by Rafael Chandler, published by Neoplastic Press. OSR2 is a LotFP module about a small serpent-infested hamlet, written by Jeff Rients, released by LotFP Publishing. Other than spending 32 pages on serpents and cultists they don't have much in common. Jeff Rients, besides being an excellent blogger, is also the author of Broodmother Skyfortress, which I consider one of the best OSR adventures. That should mean sky-high expectations, but because OSR2 is a different kind of animal, I tried my best to avoid unfair comparisons with BMSF. OSR2 is a 32 pages long digest booklet. The color cover is a sight to behold, beautiful and slightly disturbing at once. The black and white interior illustrations are good, though not outstanding. The art is surprisingly tame, so if you are expecting gore and naughty bits you will be disappointed. The layout is a clear and breezy two-columns affair with a faint grey scaly background, which fortunately does not harm readability. The first half of OSR2 introduces the bucolic hamlet of Nonsbeck, along with its notable features, personalities, hooks. Good writing and intriguing details make the small community come alive: the settlement feels like a real place, with real people, who have real problems. The realistic nature of Nonsbeck is further emphasized by the lack of supernatural elements: there are no fantastic beasts, weird horrors, haunted places, or anything unusual to speak of. This is a double-edged sword. On one hand, the events depicted in the second half will feel more effective because of this. On the other hand, the DM is tasked with making the players care about an unremarkable little rural village enough to return there several times. You can make it a recurring feature of your campaign, but I find it a cheap solution. I prefer my players visiting something because it caught their attention for some reason, and you don't need big spectacular tricks to achieve it. The chapter ends with some useful random encounter and random local name generator tables. The second half of OSR2 is about how the appearance of a snake demoness fucks up Nonsbeck while the PCs are away. Where she comes from is up to the DM - the book offers three different options. What's more important is her ability that turns the place upside down: she can travel time through one's genetic material, and alter past events. What I loved about the changes is they aren't immediately evident, but revealed slowly as the players begin looking around. Even if they go right to the inn ignoring everything else they will have a chance to feel that something is amiss. The blacksmith's apprentice turned into a mute roadside beggar who doesn't want to return home. The church is barred, the blacksmith is closed. People are gone, the stories about their departures are out of character. There are new graves in the cemetery, while others are missing. The serving girl in the inn was replaced by two boys with the same name as the innkeeper's stillborn sons. If the players stay or investigate, they will soon learn that the village turned into the nest of serpent worshipping human-snake hybrid cultists, hellbent on sacrificing them. I enjoyed Nonsbeck's shift from simple boring hamlet into a horror movie village a lot, especially the details that can help building tension. Too bad there is no real climax to the adventure. "Remember that village? Now it's corrupted, FIN." The lack of third act makes the events of OSR2 feels more like a lengthy side-encounter, than an actual adventure. The second half ends with a few ideas about the possible fate of some NPCs, a few paragraphs about the LotFP way, and the stats of the demoness herself, in case the PCs want to take revenge. There is nothing about her whereabouts or plans, not even seeds like about how she surfaced. At least the monster's abilities are unique and interesting, and in true LotFP fashion many fall into the "your character is fucked up, no save" category. The creature can murder the PC's father which can totally change or even erase him, help his parents in a time of need and turn them into snake cultists, implant viper eggs into the victim's stomach that hatch in the present, and so on. Use it only if you are not afraid to wreck your campaign. Overall OSR2 is an uneven adventure. It requires a long setup to be effective, delivers a short and powerful confrontation, then leaves you hanging without meaningful resolution. 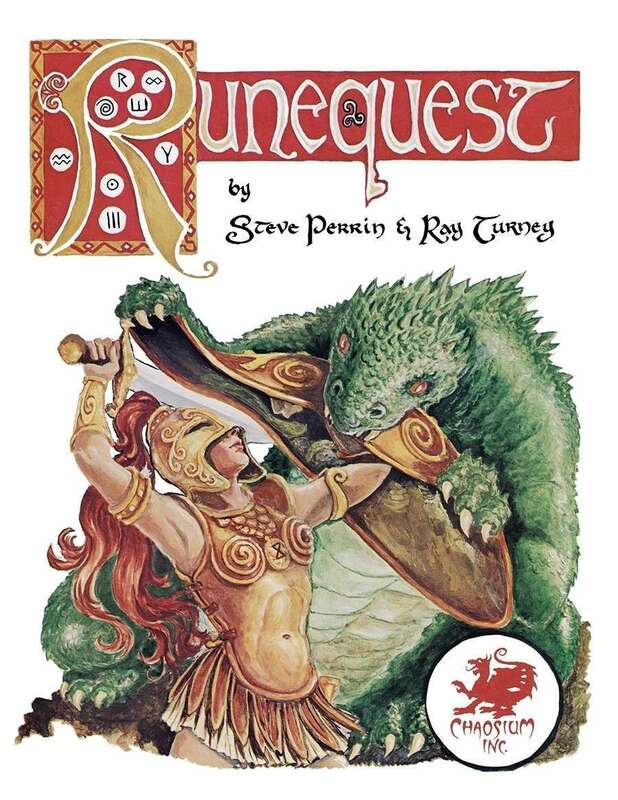 While I like terse adventure kits and love using them as framework I can build upon (heck, I filled the Sunstone Caverns once), in case of OSR2 I can't help feeling that it's missing something. It's only a few pages away from being an amazing product. Still, it was an entertaining ride, and it whetted my appetite for more gaming material about ophidians. Time to get OSR1! Tl;dr: OSR2 does a great job at building up, then corrupting a mundane rural village, but would benefit greatly from some more content. You can buy it on DriveThruRPG. Thanks for the review! Very informative.